How I gained it: Just eating everything without conscience, and not being active. I would eat when I wasn’t hungry, I would eat when I was cooking, I would lie to myself that I didn’t eat all day. 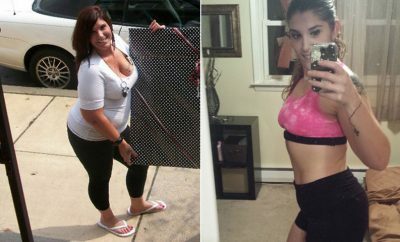 I always felt that I was OK-looking, and I could lose the weight when I wanted to. While going through a low period in my life, I also had a terrible shopping addiction, so it just went hand in hand. Whenever I was out shopping, I always felt the need to go and have lunch, then find a pasty shop and eat everything in sight. I have tried so many diets, and I’ve lost the weight, but I gained it back, plus even more. My husband left me five years ago, and I had been married for 23 years. I have two children, and when he left, I lost weight. When I started to date, I gained it back. At times, I felt so depressed, and I would just eat all the wrong things — my favorites were cheesecake, pasta and bread. Breaking point: When my doctor told me she wanted to test me for diabetes. I was like, “No wait, I will lose the weight.” All I kept thinking about was my foot getting cut off, and I couldn’t paint my toes. My doctor said, “I still need to do blood work,” so I agreed. 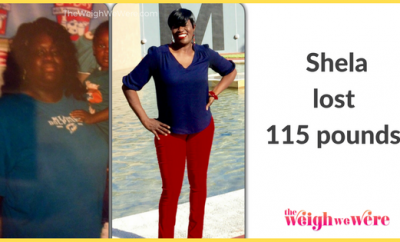 Everything came back positive, and I knew I had to lose weight. I work at a transitional shelter, and I have to pass through the gym to get to my job. I’d never even thought about working out. Then I just made up my mind, because either I’d end up dying of a heart attack or taking insulin every day. I started working out on June 30, 2008. I went to the doctor in September, and the nurse weighed me and said, “Oh my God, what have you done?” I told her I’d started to really take my health seriously. Then I went back in November, and I’d lost another 16 pounds. At about that time, my co-worker said, “Why do you wear such big clothes?” and I asked her, “Well, what do you want me to wear?” She told me to go buy some new clothes. I did, and I was a size 16. I couldn’t believe it. As the months went by, my clothes got so big they made me look silly — but it was hard for me to come to grips with the fact that I really had lost the weight. The largest size I wore was 3X and 22 pants. Now I wear a size 10. In February, I was in Target, and I saw a friend I hadn’t seen in about a year. I greeted Angela, and hugged her — and she didn’t know me. The same thing happened at a funeral — a friend noticed my son but didn’t recognize me. 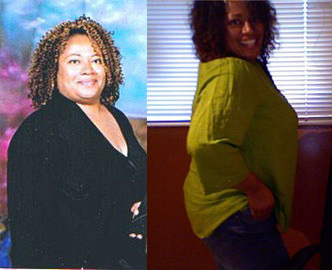 Laurie has maintained her weight loss for one year.